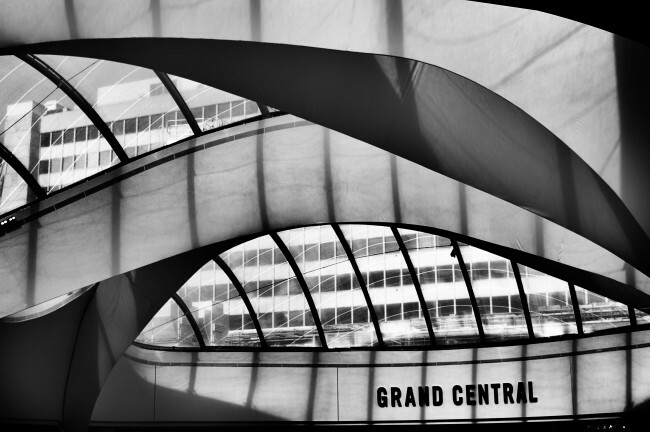 This week’s Friday photo could be none other than the newly unveiled New Street Station and Grand Central Shopping Centre. I took this picture of the spectacular roof yesterday at the opening of Grand Central. The roof allows natural light to flood the atrium and throws a reflection of stripes across the unusual contours of the roof. The new project has cost over £750 million pounds and has opened with much praise. I personally like the design and like to interpret it as a modern take on the original Victorian New Street Station with it’s beautiful iron and glass roof (lost to the bombing of WW2). I think the project can be nothing but an asset to our city.